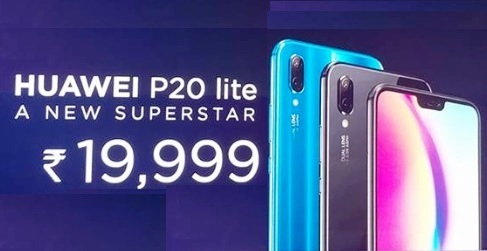 Huawei’s P20 series handsets that launched in India on 24 April 2018, has crossed more than 1 million registrations through its exclusive e-partner, amazon.in. Registration for the series started on 20th April 2018. 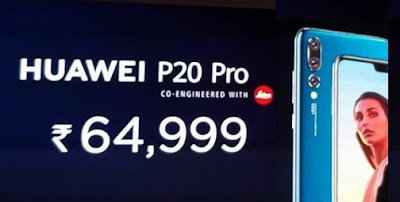 The Premium flagship device of Huawei P20 Series – P20 Pro is equipped with the world’s first Leica Triple Camera handset packed with powerful artificial intelligence (AI). With a 5x Hybrid Zoom, six-axis stabilization and 960fps super slow motion, it will provide an unparalleled experience to the premium users. A striking, fashion-forward aesthetic with timeless designs, 15.49cm OLED screen with ultra-thin bezels and impressive screen-to-body ratio enhances the viewing experience with more on-screen information. Staying true to its promise to offer a distinctive user experience, Huawei also announced Huawei P20 lite for those who do not want to compromise on design and camera. With a 14.83 cm Full HD Plus screen, 24MP front camera, 16 MP sensor with a pixel size of 1.12 μm, the device allows the consumer to take sharp and swift snaps. Intelligent recognition and facial mapping packed with Kirin 659 chipset, 64GB of storage and 4GB of RAM and a 3000mAh battery, makes the technology fusion unbeatable in this price range. The Huawei P20 Pro has been priced at INR 64,999 and the Huawei P20 lite at INR 19,999 and will be exclusively available on amazon.in from May 03, 2018 from 12:00 A.M.